Start a modern makeover of your bathroom with the elegant and eye-catching floor-standing Milano Classic 650mm vanity unit and basin. 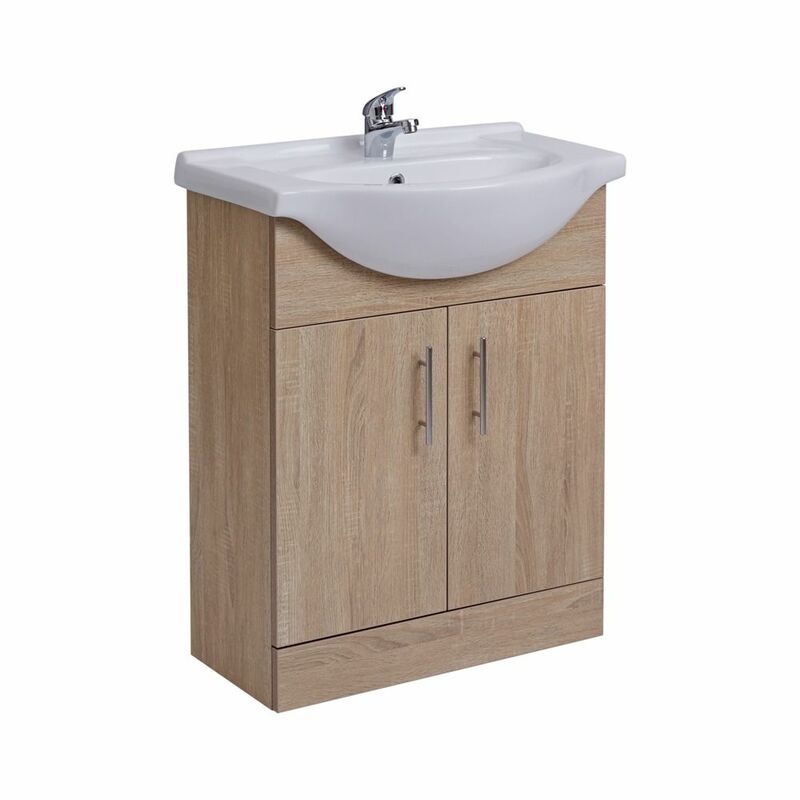 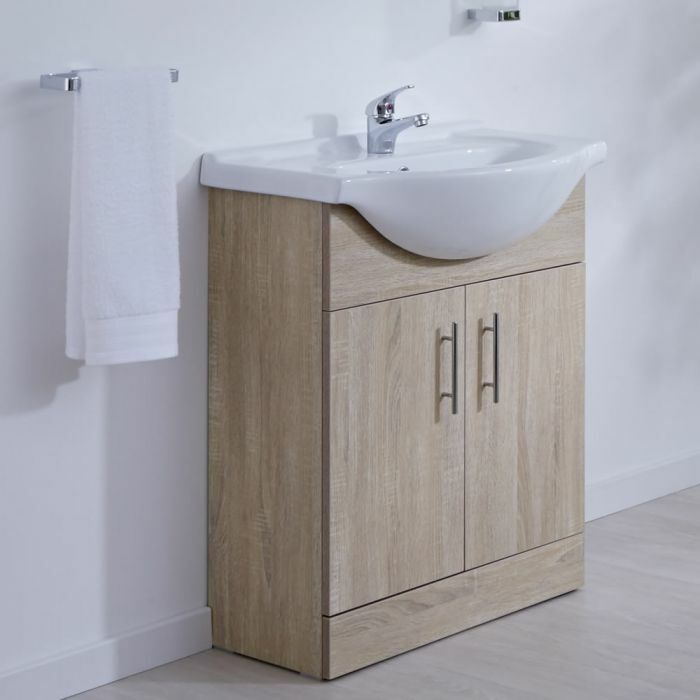 Featuring an attractive oak effect finish and a robust moisture resistant engineered wood construction for long-lasting durability, the Classic vanity unit will be a stylish addition to your bathroom. 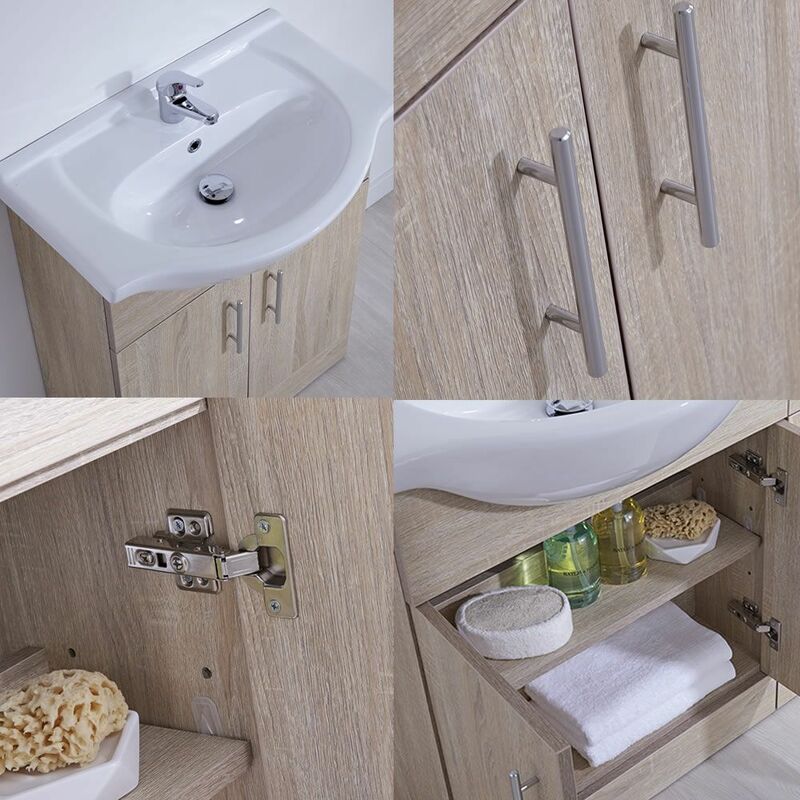 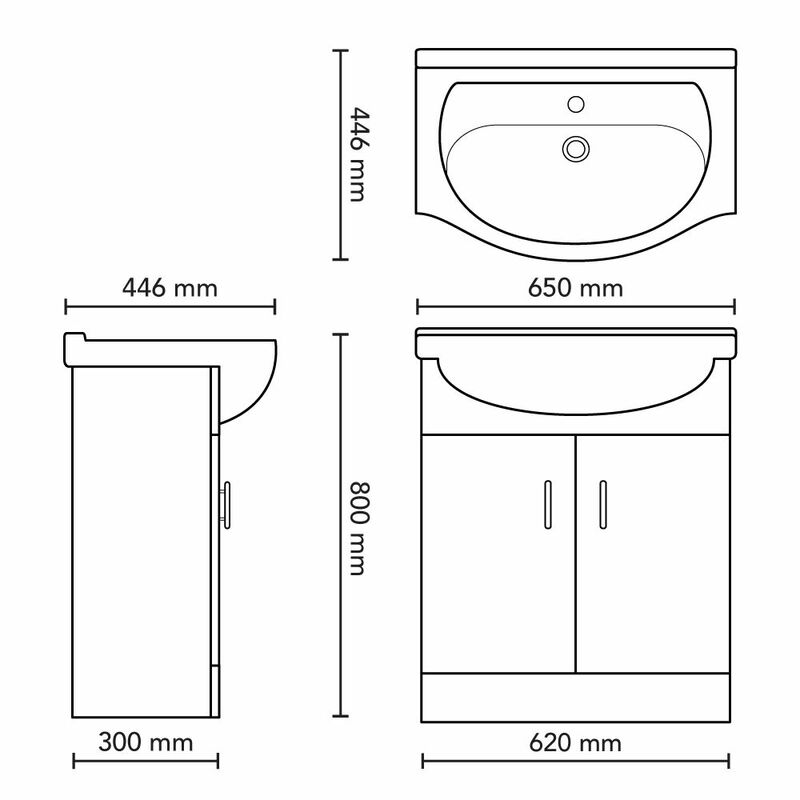 Storage is provided for your bathroom essentials within the spacious cupboard that includes soft close doors and chrome handles. 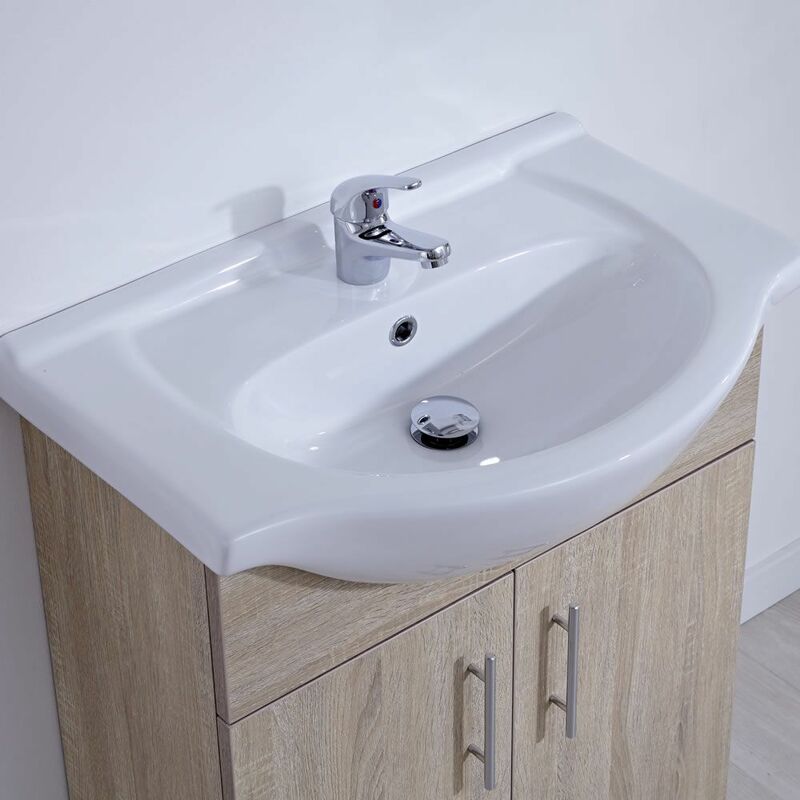 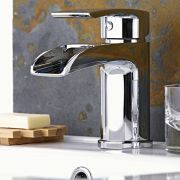 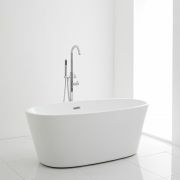 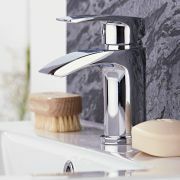 Complemented by a striking high quality ceramic basin, finished with an easy to clean white glaze, the final look can be personalised with a choice of mono taps from our range to fit into the single tap-hole.